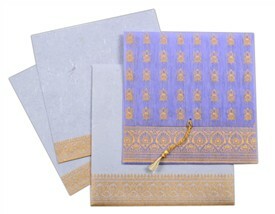 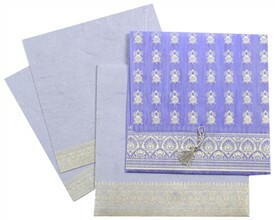 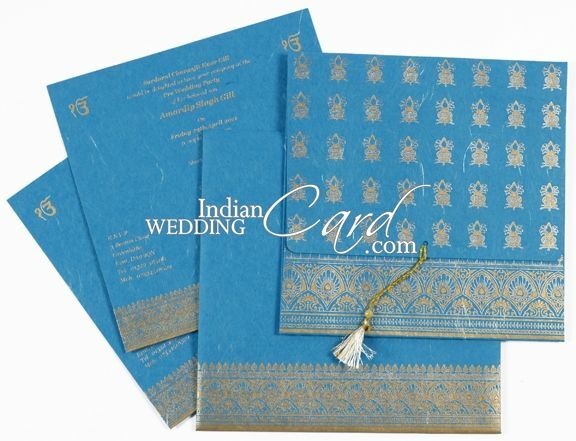 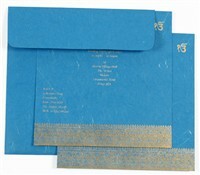 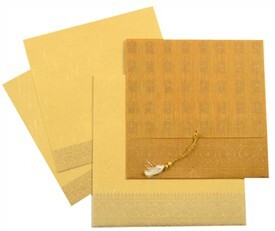 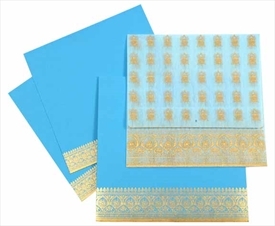 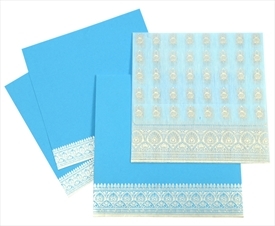 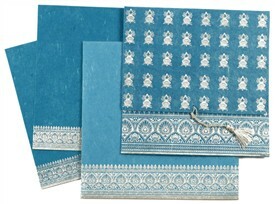 D-1414, Blue Color, Handmade Paper, Designer Multifaith Invitations. 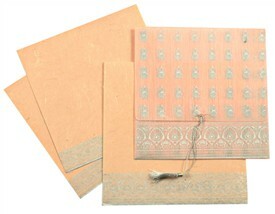 The jacket is printed with kalash symbols all over with bottom part having a zari tassel with pearl. 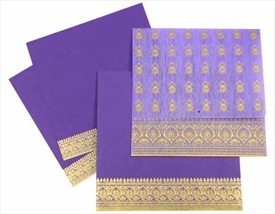 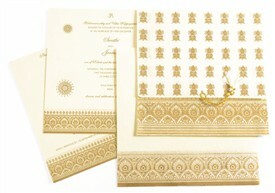 The lower fold also has a very ornate border design is Gold. 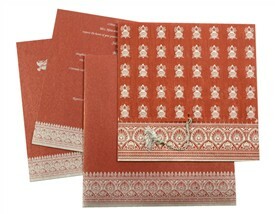 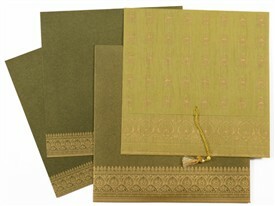 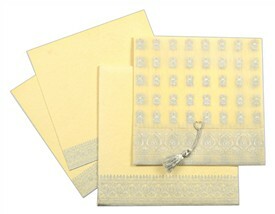 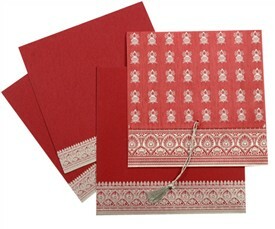 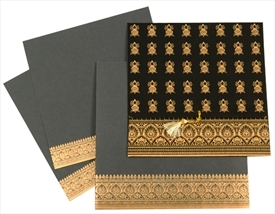 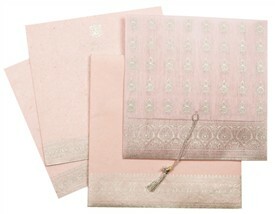 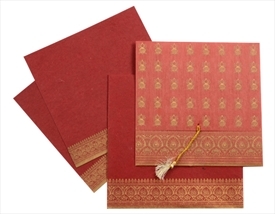 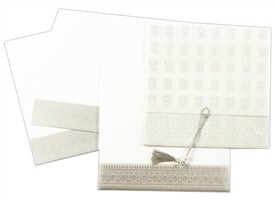 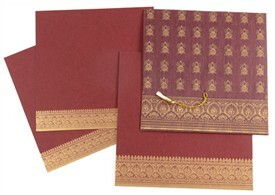 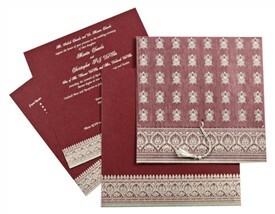 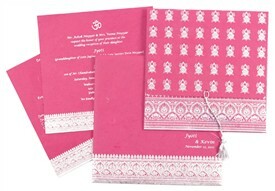 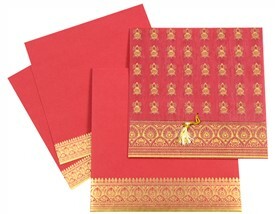 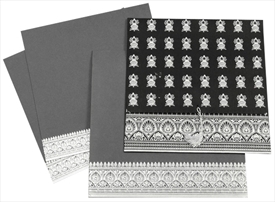 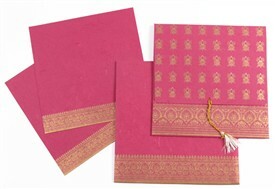 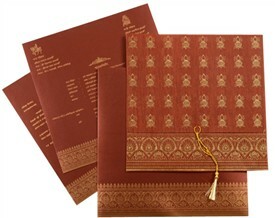 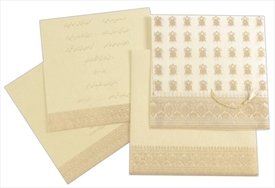 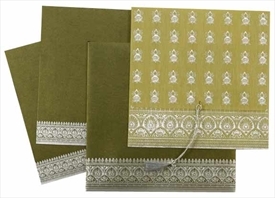 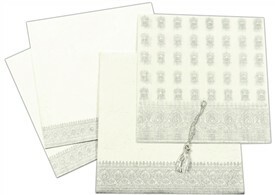 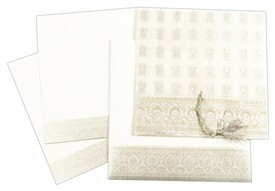 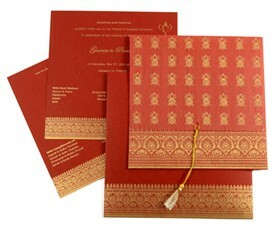 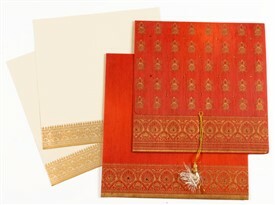 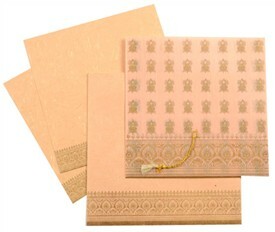 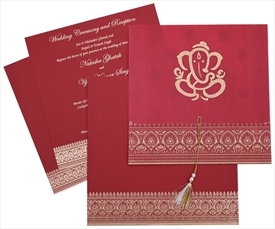 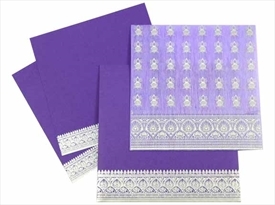 The inserts have similar ornate border and so does the envelope.